Good morning! How are you doing so far with your challenge? *Side note: I did an extra (VIDEO) post yesterday on 6 Obstacles that Keep Us from Reading our Bible — and shared some of my BEST TIPS for squeezing in more Bible reading time. Maybe you can also remember a time when you made the RIGHT decision and you felt such relief. You rejoiced over and over again that you made that particular decision. God is our main source of supply for wisdom. WISDOM is knowing how to use your knowledge in the right way. To grow in wisdom, we must gain it directly from our Heavenly Father by READING His Word daily and by directly ASKING Him for wisdom. But, God also instructs us in His Word about living right as Christians so that we can be BLESSED.and have more JOY in our life He also wants to help us sidestep those pitfalls and snares in life so that we can avoid many sorrowful circumstances. 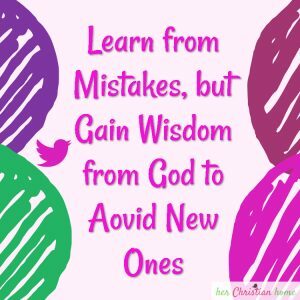 Learn from mistakes, but gain wisdom from God to avoid new ones. How can we not be more JOYFUL, PEACEFUL, and GRATEFUL when we make the right decisions and avoid the wrong ones! 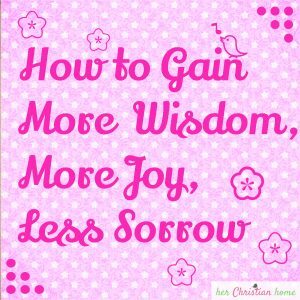 God has an abundant supply of wisdom and shares it freely to them that ask! And, it’s the MAIN thing to get in this life – it’s not the biggest house, the cleanest house or the prettiest dress and shoes! Let me encourage you today that there is NOTHING more REWARDING than reading your Bible, praying and serving God! SIDENOTE: Many people like to read ONE chapter of Proverbs each day because King Solomon, who was one of the wisest men who has ever lived on this earth, shared much of the wisdom he gained from God in this book. Proverbs is the perfect source of practical wisdom to include in your daily Bible reading. 1 Kings 10:24 (KJV) And all the earth sought to Solomon, to hear his wisdom, which God had put in his heart. 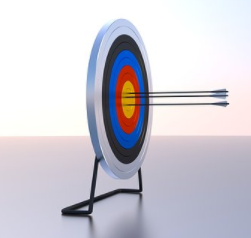 Psalm 90:12 (KJV) So teach us to number our days, that we may apply our hearts unto wisdom. Psalm 111:10 (KJV) The fear of the LORD is the beginning of wisdom: a good understanding have all they that do his commandments: his praise endureth for ever. Proverbs 1:7 (KJV) The fear of the LORD is the beginning of knowledge: but fools despise wisdom and instruction. Proverbs 2:7 (KJV) He layeth up sound wisdom for the righteous: he is a buckler to them that walk uprightly. Proverbs 3:13 (KJV) Happy is the man that findeth wisdom, and the man that getteth understanding. 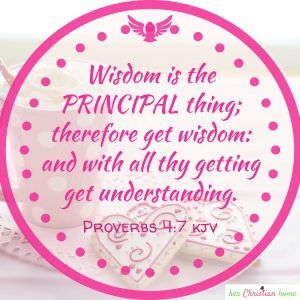 Proverbs 4:7 (KJV) Wisdom is the principal thing; therefore get wisdom: and with all thy getting get understanding. Proverbs 11:2 (KJV) When pride cometh, then cometh shame: but with the lowly is wisdom. Proverbs 16:16 (KJV) How much better is it to get wisdom than gold! and to get understanding rather to be chosen than silver! Proverbs 31:26 (KJV) She openeth her mouth with wisdom; and in her tongue is the law of kindness.